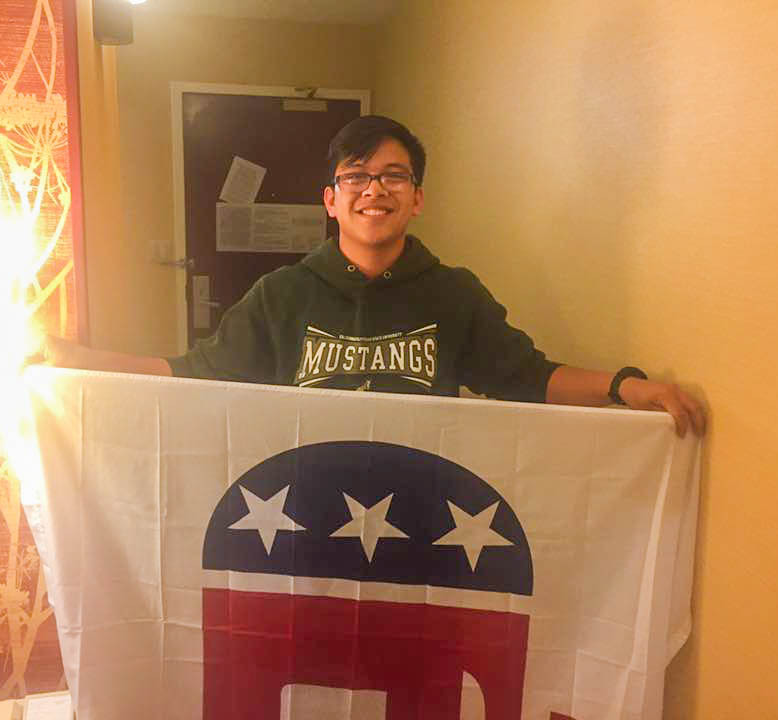 When I first arrived at Cal Poly, I was a registered Republican. I was eager to campaign and vote for Sen. Rand Paul (R-KY) and his message of a bigger and better Republican Party. I was not completely on board with the Republican message, but I could appreciate their goals of fiscal responsibility along with reigning in government waste. I was on board with Paul’s message of ending the War on Drugs and criminal justice reform, and his plan to restructure the United States’ role in the world. As the year went on and Donald Trump began to edge out in front of the rest of the GOP, I began to despair. I did not want to see someone who was against my principles become my representative as a Republican. I thought Paul’s message of a more inclusive Republican Party would win. I look back nearly three years later and wonder how I was so naive. I swore to leave the Republican Party if Trump won the nomination. When he became the nominee in August 2016, I left the party and became a registered Independent. I voted for Gary Johnson in the 2016 election and I do not regret my decision one bit. My principles come before any party or politician. I was a Republican. I campaigned for Republicans during the 2016 election season. I helped out in North County with John Peschong’s and Jordan Cunningham’s campaigns a few times. I went to Northern California to campaign for Catharine Baker with the Cal Poly College Republicans. I’ve been to two California College Republicans conventions. I may not have been as involved as many College Republicans, but I was one. Even though I left the Republican Party in 2016, I was still involved with them. I wrote an opinion piece defending Milo’ Yiannopoulos’ invitation to Cal Poly when he first came here January 2017. When he spoke at our school, I sat in the front row and even laughed at some of the things he said. When Laura Southern came, I watched her speak and took a picture with her. I was a part of them and a part of me wanted to remain. I don’t know what it was, but I continued on. As 2017 went on, I watched as the Republican Party became a caricature of itself, a haven for xenophobia and overt racism. I was sick of being the token minority, a role I had relished when I first came to Cal Poly as a freshman in 2015. I could no longer abide by this. I could no longer watch as Republicans wanted to deport Dreamers and build a wall across the Mexican border. Or ban people simply because they are of a different religion or trying to escape a deadly civil war. I could not make excuses for a man who committed the same sins as the previous president, but because he had an “R” next to his name, the party let it pass. Yes, they have a right to do it as protected speech under the First Amendment. It does not mean I have to approve of it. I still believe in some Republican ideals. I believe free-market capitalism is the best way to escape poverty. I believe in free trade. I believe in reigning in wasteful government programs that do nothing to improve the lives of Americans, and I believe in a strong United States. I believe in freedom of religion. I believe in free speech, and while I may not have liked Yiannopoulos coming here to speak, everyone has a right to speak at a public university. But I cannot be a Republican. I hold this in my heart. I will not let party mentality get in the way of doing what is right. I will continue to advocate for those who are willing to overcome the partisan divide and work together to better the lives of all Americans. I will continue support politicians like Justin Amash, who have seen the dysfunction of government firsthand. However, I am not going to do this under a party label. Parties are what are wrong with this nation and that includes Democrats and Republicans. George Washington warned us more than 200 years ago in his farewell speech about the dangers of political parties alike. “However, [political parties] may now and then answer popular ends, they are likely in the course of time and things, to become potent engines, by which cunning, ambitious and unprincipled men will be enabled to subvert the power of the people and to usurp for themselves the reins of government, destroying afterwards the very engines which have lifted them to unjust dominion,” Washington said. We should heed his warning, otherwise this continued destruction of American politics will fester, even after the Trump presidency ends.